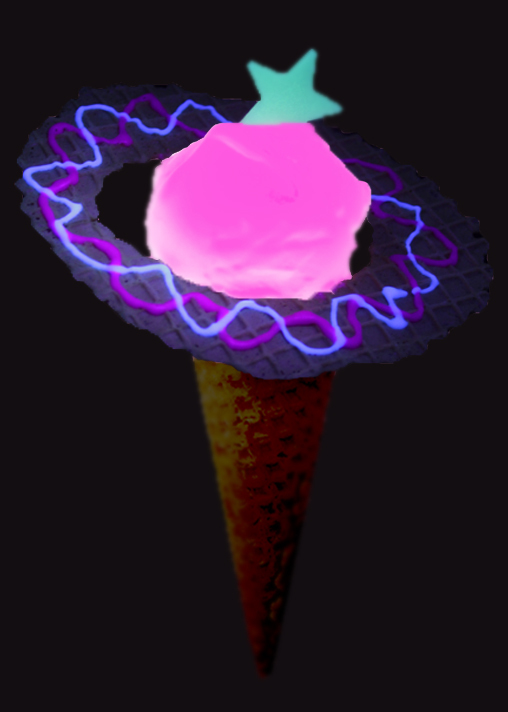 Here’s for a totally rad dessert cafe and clothing line collab! If you happen to be at Kota Kasablanka Mall this 21 April to 19 May, you may find a very curious pop-up space station there. 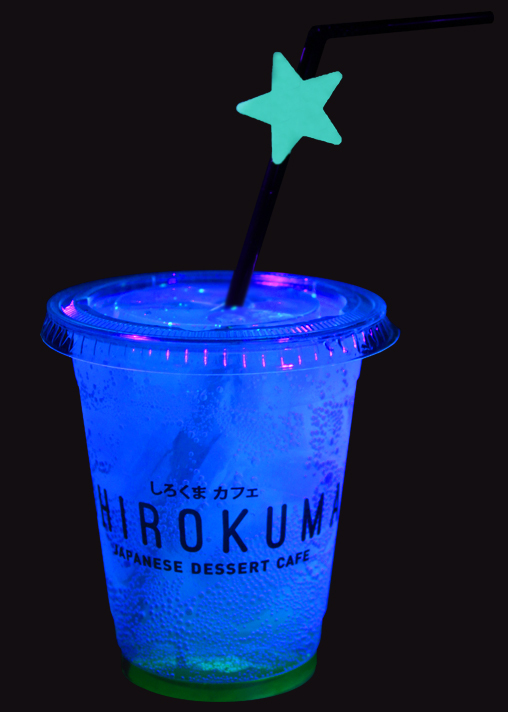 The venue, which features Cosmonauts x Shirokuma apparels collection, spoils its guests with edgy snacking experience – glow in the dark gelato, soft cream, cupcakes, and cotton candy! 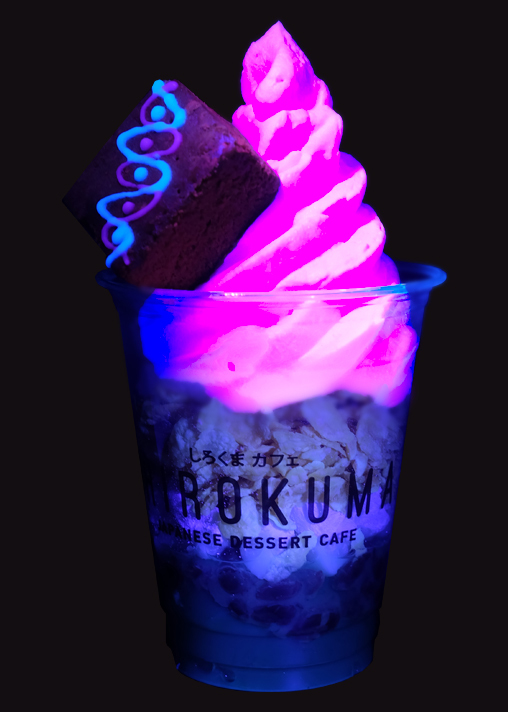 Don’t forget to gobble it all up in their special ‘dark-room’ where you can be part of the glow (and yes, totally an Instagrammable experience!). For the health-conscious, no worries for you since the glow is created naturally by a type of vitamin B (Riboflavin). And for Shirokuma’s die-hard followers, the additional ingredient doesn’t change the taste at all. Inside the luminescence room of the space station, you can also draw/write your heart out in their special wall – and let it glow!